Hi friends, and welcome to the party! Thank you so much for stopping by to share your awesome talent with us this week. I hope you all have a fabulous weekend. It finally feels like fall here. The cooler weather is a very welcomed change. We went from about 80 degrees yesterday morning to the 30's last night. Gotta love the weather in the south! There's definitely no gradual changes. Our state fair opened here last night and we really wanted to go, but the cold winds changed our minds pretty quickly. I love these lacy vintage pumpkins by Vintage, Paint and More....! While I Linger shared her beautiful living room makeover all decorated with nontraditional colors for fall. 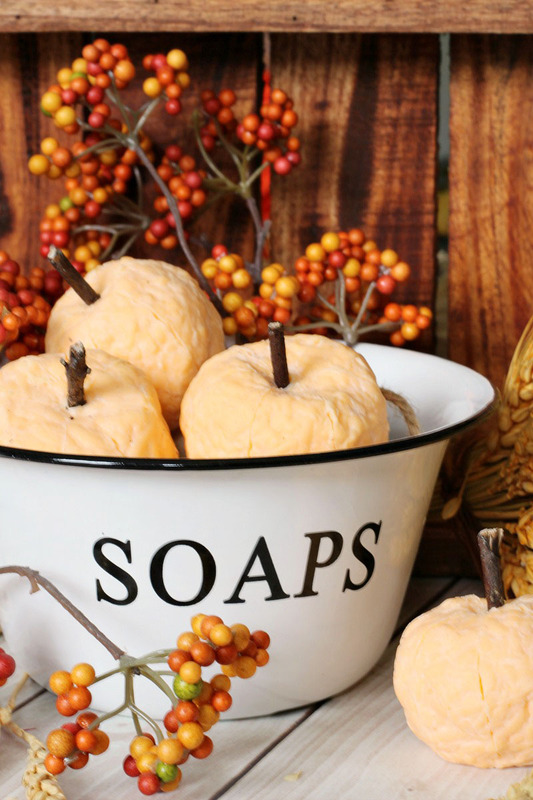 How awesome are these adorable DIY pumpkin soaps byClean & Scentsible! The Scrap Shoppe shared how to create this colorful metallic centerpiece. Purple Hues and Me shared how to make your own floral wire pumpkin candle holder. 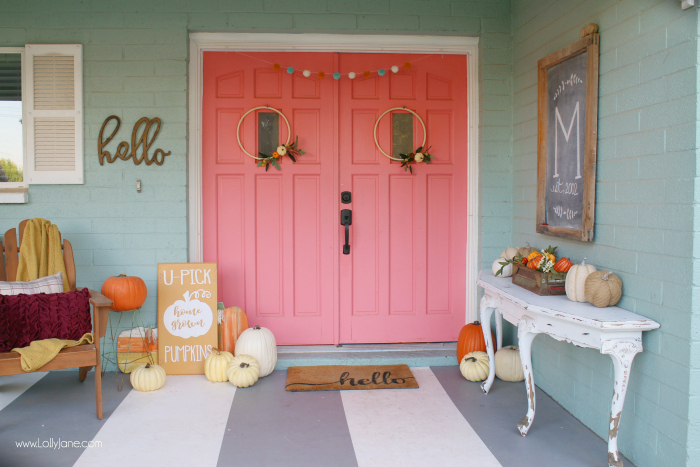 Lolly Jane shared some great tips for decorating the front porch for fall. Belle Bleu shared her beautiful autumn luncheon tablescape. How fun is this DIY Caramel Apple Station by Bird's Party! 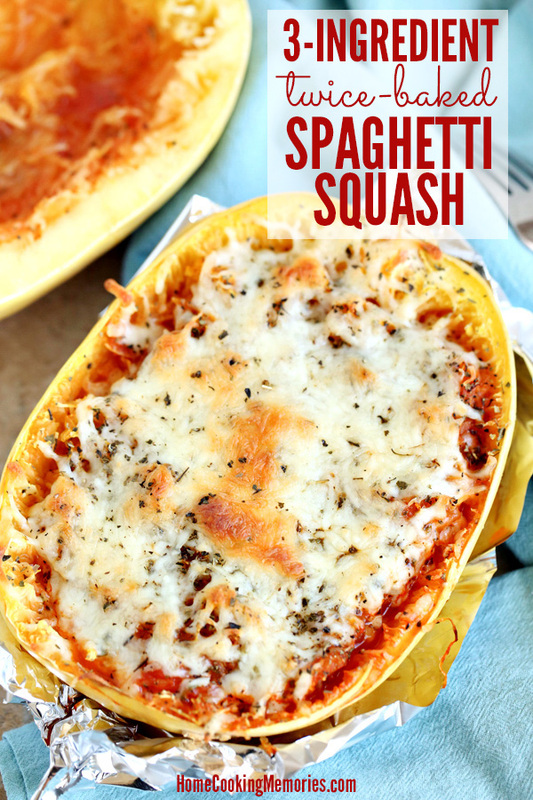 This 3-Ingredient Twice-Baked Spaghetti Squash by Home Cooking Memories looks amazing! 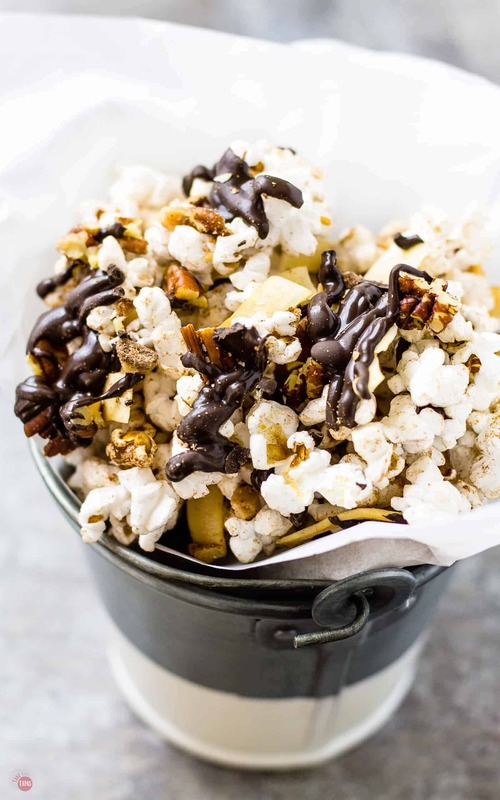 Yum, this German Chocolate Popcorn by Take Two Tapas looks so delicious! Marilyn's Treats shared her Caramel Apple Lasagna that will satisfy any sweet tooth! The Kitchen shared her Indiana Sugar Cream Pie that I can't wait to try. Sugar, Spice & Family Life shared these Butterfinger Brownie Bites that look so yummy. My Sweet Cottage is the featured blog this week. Check out the amazing laundry room makeover. I love the sink between the washer and dryer. Thank you so much for featuring my Caramel Apple Lasagna. With all the other wonderful posts I am honored. It is always a pleasure to link up with you. Thank you for all you do to bring bloggers together. I invite you to join me at #OverTheMoon, #WonderfulWednesday and #ThursdayFavoriteThings. Have a great week! I'm so grateful that my floral wire pumpkin was among your features, Kathy! Thank you so much! There are so many lovely, inspiring projects each week and I know it's very hard to choose. Thanks for hosting and have a great week! Thank you Kathy for your 269th Bouquet of Talent, always appreciated. Kathy, thanks so much for hosting - and for featuring my laundry room remodel! I am honored. 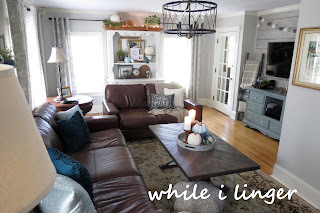 Thank you for sharing my living room makeover! What a lovely surprise! Thank you so much for featuring my lacy pumpkins this week and for hosting each week. Hope you have an amazing week.